We are your local shutter experts. Get in touch today to find out more! Place an order by 30th April and get a FREE ostrich feather duster with it! 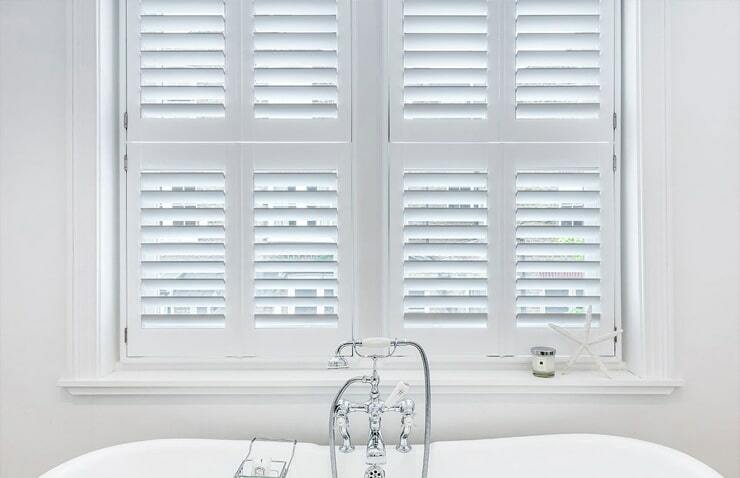 Plantation Shutters Ltd was established in 1982 and since then has grown to become a reference in the industry. 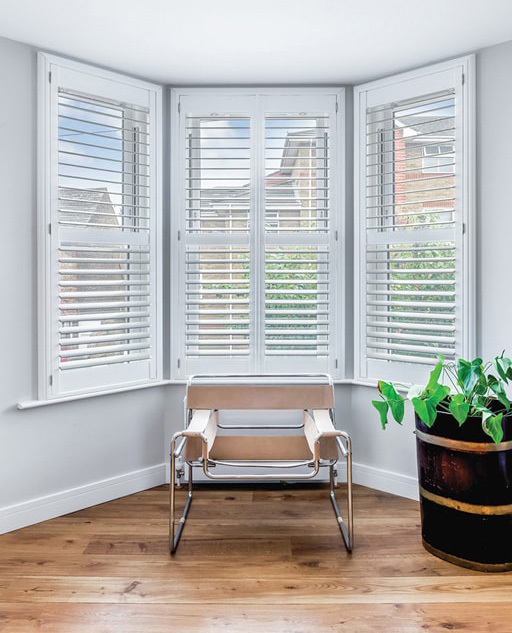 We supply interior window shutters, widely known as plantation shutters, which are a smart and elegant covering treatment for windows and doors with additional benefits beyond aesthetics. 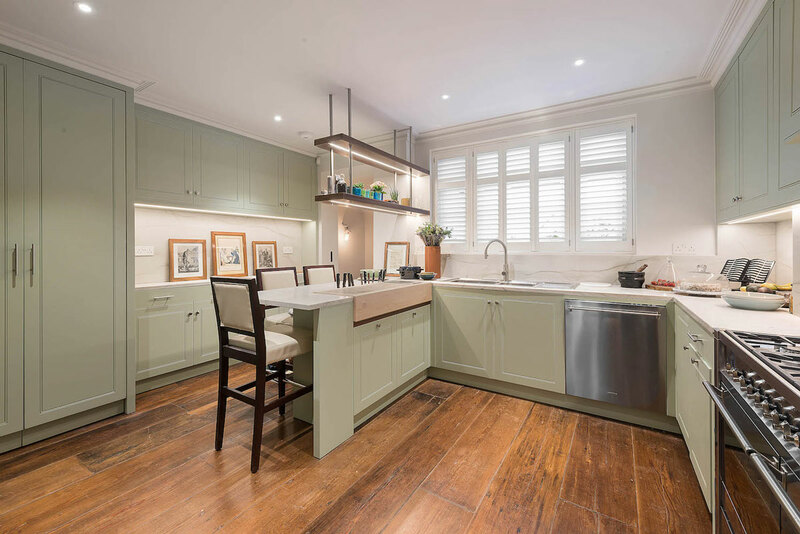 We offer a wide range of beautifully crafted and custom made plantation shutters and venetian blinds. 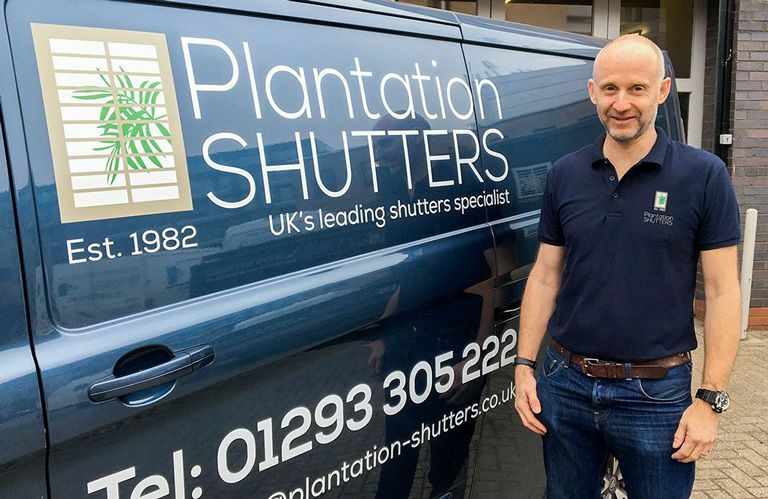 We are based in London and have been in the shutters industry for over 35 years, combining our experience with the best quality products available on the market to provide a unique service that cannot be matched by any other shutter company in the UK. Here at Plantation Shutters, we have some very exciting news. Drum roll, please… We have just taken on our first Franchise and are now offering full service for shutters in Kent, Surrey and Sussex. Being the finest distributors of wooden shutters in London and the UK, our shutters come in a vast range of styles, materials and colours. We can create custom made shutters that fit any window shape and size. Our experience has taught us the importance of listening and understanding our customer’s needs. We advise customers on the type of product that will suit their home and provide excellent customer care and communication that is unsurpassed. From full height wooden shutters to custom-made window shutters and all styles and shapes in between. Our range's designed to suit all budgets from the entry-level MDF to our premium certified White Teak. You can choose the style, material, slat size, colour and a variety of optional extras. Our plantation shutters are spray painted with up to nine coats of paints or stain then finished with a UV protective layer to prevent fading by the sun. We can custom make your shutters with cut out door handles or using track systems for patio doors and wardrobes. There is the option to have locking mechanisms and pull rings and for those really hard to reach windows. 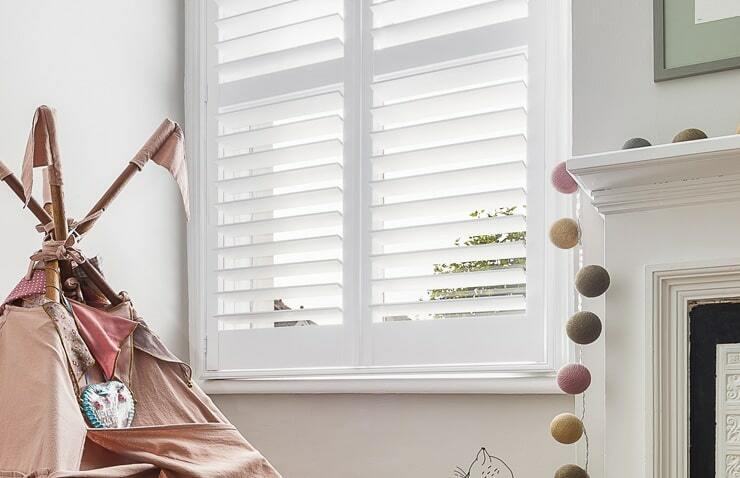 Our window shutters provide the versatility to create a lifestyle traditional feel or the much desired minimalist look when used as the alternative to curtains and blinds. Shutters also bring a touch of style and elegance to any room as they are exceptionally practical, charming and produce a homely feel. During summer there is no better way to provide protection against the sun’s glare, keeping out the heat while still letting in light and air. At the other end of the spectrum as winter closes in, they hold in warmth by providing an extra layer of insulation. In addition, shutters are durable, easy to clean, maintain and can even add value to the property. They provide the much needed visual privacy from the outside, protecting you from prying eyes without removing precious light. Luxury and Pure Elegance for this Knightsbridge Home. 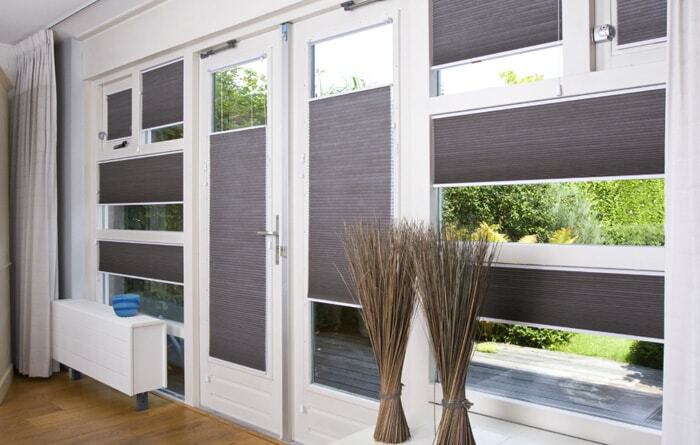 Our high quality blinds range is genuinely designed to fit rather than cut. What makes it standout from the other products in the market is the fact that it offers a multitude of configurations and finishing options to give a superior solution for any window size. The range comes with child safety cord consolidator fitted as standard.